German mobility provider Sono Motors has announced its new partnership with Bosch. The technology and service company will provide the Sion’s central control unit and a software-based solution for its intelligent networking. 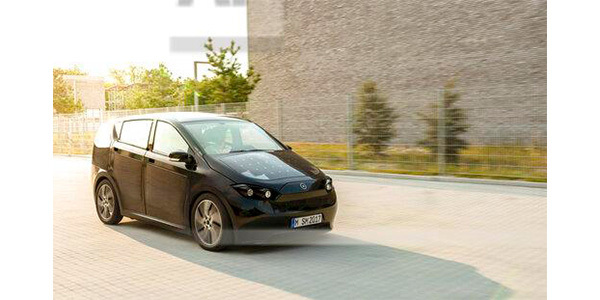 The electric car with solar integration – the first ever to go into series production – has been designed with maximum efficiency for the user, offering car-, ride- and power-sharing. The Sion’s data connection with the cloud will be managed by a connectivity control unit (CCU) from the leading automotive supplier and the Bosch Automotive Cloud Suite, which also will support a number of functions in the goSono app from Sono Motors. Cloud connectivity also will act as a basis for digital mobility services, such as charging electric cars and the eCall automated emergency call function. This concept is based on the idea of making the vehicle accessible to as many users as possible. An intuitive mobile application integrating all the mobility services will allow users to share rides, energy or even the car itself. Besides addressing environmental and climate protection, the company said it can address the problems of an overburdened infrastructure, which will ultimately only be solved by a reduction in and the significantly higher utilization of produced vehicles, the company believes. This offering of mobility-related services forms the second pillar of Sono Motors’ business model, alongside car development and manufacturing as the first. Sono Motors recently announced Continental as the supplier of the Sion’s electric drive system and ElringKlinger as its partner for battery development and production. The company has so far received around 9,300 partially paid preorders for the Sion. Production is scheduled to begin at the end of 2019.